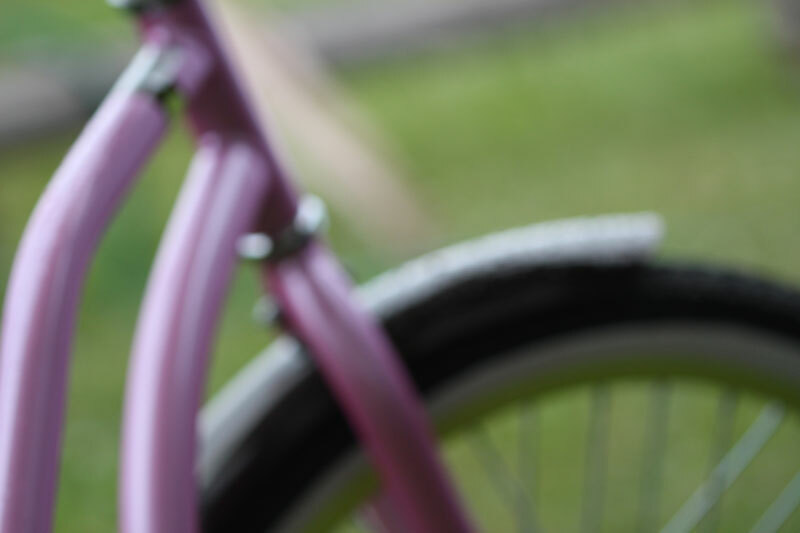 My daughter has a really sweet pink, retro-style bicycle. As I was sitting in the camper on a rainy afternoon, I looked out at it and realized it could make for some fun photos. So I crouched under the canopy with my camera and made a few compositions. Although I did also take some with sharper focus and a wider angle, I was happiest with these shallow depth of field shots.